Configurations are infinite with different designs, dimensions and arrangements. The BubbleTree Event range helps you apply your ideas to create solutions matching the needs and requirements of your clients. 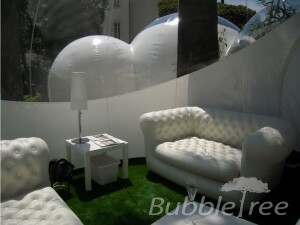 The modular BubbleTree Event range transform the venue into a customized reception space which establishes connection between the event concept and the place. The design of the Bubbles is inspired by the principles of organic architecture and evaluates to incorporate different architectural styles. Artful scenography and illuminations help create truly unique event venues. The space can gracefully transform from open and transparent to intimate areas, vary in size and ambiance, and perform different functions required by your project. 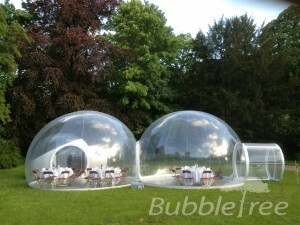 Entirely transparent, CristalBubble becomes a luxe event venue amplifying interaction with the place. 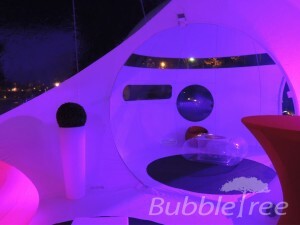 BubbleRoom is designed to create an exquisite and enjoyable VIP lounge atmosphere at your event. 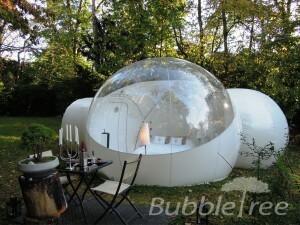 Focused on the guests and their perceptions, BubbleDrop is a private space for exclusive events. 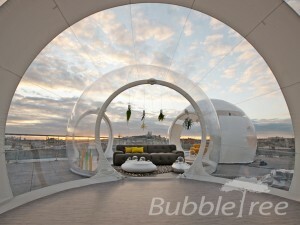 BubbleStar has been conceived to offer simultaneously the embracing architecture and frontal panorama. Accentuating the transition of white into crystalline, BubbleStripe creates a passage between the two universes. 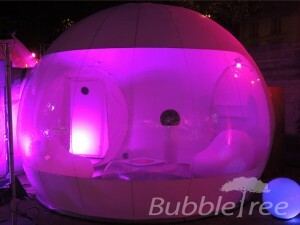 BubbleSuite is an extended version of BubbleRoom providing more space and comfort of a luxury hotel suite.